We are all living inside boxes we have designed ourselves. They exist purely because it’s the way we can hide (abstract) complexity we cannot or do not want to oversee. Or to hide our fear of not being able to cope with the complexity. But how do boxes help us in managing relationships? Look at the top left figure. 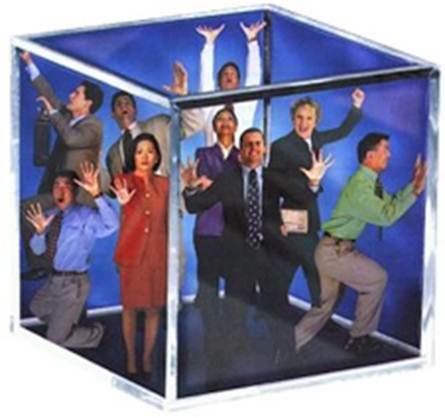 We placed a box around a number of people we think have to work or be together for some reason. And then we call this box a department (or a company, or enterprise or whatever scale you want to give it). And this box is then supposed to manage relationships with it’s direct environment, but that is not that easy, since we locked ourselves inside the box. We also tend to do this with technology: integrating parts until they fit inside some box. We then call this box a PC or server or application or active component or suite or ecosystem or whatever. And we managed to hide all the complexity inside these boxes, we abstracted it all out. So we don’t have to worry about handling relationships from this box to it’s environment, that is something others must do. So we don’t have to take responsibility for the relationship management: we choose the easy way out. But there are also other ways! We could try to find openings in the box. Maybe taking away one of the pillars would already help enourmously while still providing enough structure. 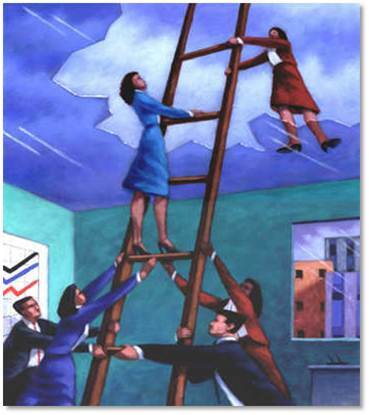 We could also try to take away the glass ceiling and provide facilities to get out of the box via the ceiling (look at the center figure). And then there is even a more extreme way: we could take away the complete box and try to manage our relationships without any predefined structure or control. 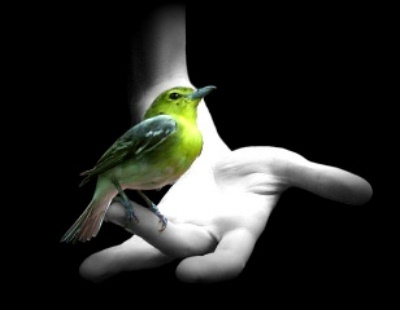 Look at the figure to the right where the bird sitting in the hand seems to have a good or at least trustful relationship with the hand, and yet seems to have total freedom to fly away whenever it wants. It represents my way of looking at an “ideal” degree of freedom in ICT architectures. Maybe one day, it will become your way too?